Databases For Charities: Is £0 Really Too Much to Pay for Gift Aid Software? 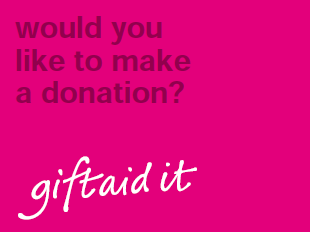 Is £0 Really Too Much to Pay for Gift Aid Software? I do realise that some Gift Aid issues are more complex than Gift Aid on 'straight forward' donations, and so those respondents who “supported the simplification of current rules [for] auctions, entrance to attractions, sponsored events and donations through self-assessment tax returns” probably have a fair case; such claims can be more difficult to administrate and automate in software packages - although not impossible. But in terms of ‘standard’ donations, it is interesting that Barry Gower, Gift Aid expert at GAIN, recently stated at the IoF National Conference that he feels the current Gift Aid system “is not broken”. Either way, we have what we have at the moment, so that is no reason not to spend at least some money on ensuring you maximise your Gift Aid revenue. In fact, I wonder if it is a charity's moral duty? So I just wonder why these charities refuse to spend any income on software to help them with their Gift Aid (assuming that really is the case)? Do they not understand the benefits? The time and effort they will save, the ability to automate R68 reports, the increased accuracy and automation of income processing and claims, the potential to go back over previous years and back-claim gift aid from a donor’s earlier donations? The speed to find Gift Aid Declarations? The increased ease to monitor and manage oral declarations? The power of reporting on all this and the ability to analyse and improve your marketing and income processing? And as a result of all the above and more, the extra income they can potentially make from using Gift Aid software to efficiently and pro-actively administrate their Gift Aid? Or do they think the software is too complicated to use? That the administration to run such software systems is so high that it outweighs any extra income? Surely not. And do they not know there is dedicated Gift Aid Management Software for small organisations which costs from just £30? So, please, if you work for one of the charities who responded to this survey and who said they weren’t willing to spend anything at all, then let me know why in the Comments sections below. Have I mis-understood your needs or message? Or has the report misconstrued your answers? Because you have to trust me here – one of the best investments you will ever make in software for your charity is on software which will help you do Gift Aid claims. It is one area we can really show an almost guaranteed ROI! The largest charities can claim thousands and thousands of pounds as a result and even the smallest charity who does pro-active fundraising will surely benefit from either a decent fundraising database which supports gift aid processing or the simplest of Gift Aid software packages. Because, if it really is the case that such charities are not using any software at all to manage their Gift Aid then that worries and depresses me. Please tell me I’m wrong. And you won’t hear that very often from a consultant! I'm always massively sceptical about surveys like this. As a member of the Institute of Fundraising I'm always getting invited to fill in surveys about one thing or another, but I usually refrain from doing so on the basis that they're about things I don't have the experience to answer. I'm a small cog in a large wheel, as most charity employees are. So when we're told that 896 charities were surveyed, what does that mean? Did someone go the effort of contacting 896 charity finance directors - or fundraising database managers - or is that the 896 people who happened to respond to an email or a letter. We're also not given reasons why people have given the answers that they have, and there could be numerous reasons for this. * 3 people who really shouldn't have been filling in that particular survey - they just work in the post room and picked it up when no-one else wanted it. They're not fundraisers or finance people and wouldn't know one end of a database from another. * 3 people who do deal with Gift Aid and feel, possibly correctly, that their existing fundraising database handles it perfectly adequately. * 2 people who've said that they wouldn't spend money on this software without knowing that elsewhere in their charity, someone already is. * 3 people who are already spending money on specialised Gift Aid software and took the question to mean, "would you spend more than you currently are?" * 3 people who work for charitable trusts that doesn't get any donations from the public and therefore couldn't claim Gift Aid anyway. * 1 genuine luddite who really would benefit from Gift Aid software but doesn't realise it. Without more detail and context about who was surveyed, how, and what they were asked, this survey is frankly utterly useless.